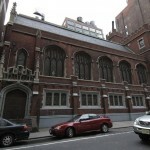 An extensive history of the Christ Church’s complex is provided by Daytonian in Manhattan, who notes the complex included an L-shaped parish house, Sunday school hall, Bible-class rooms, library, gymnasium and a “men’s club” with a bowling alley. 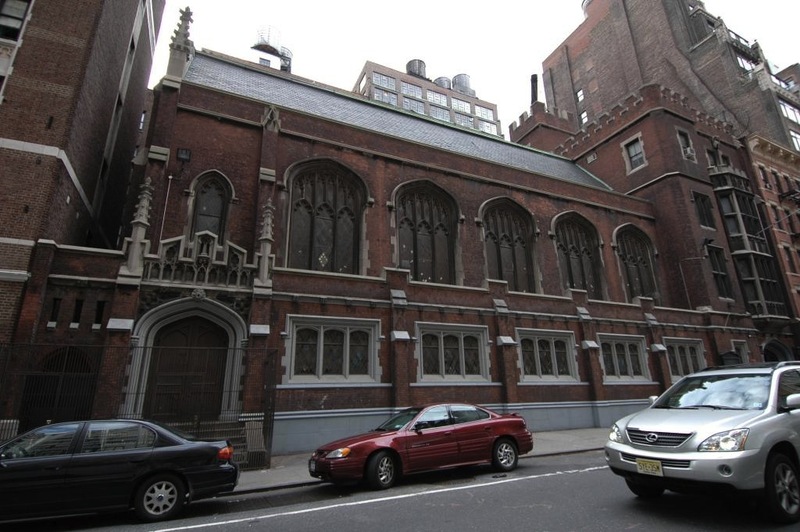 The Gothic structure expressed the surprising possibilities of what could be squeezed onto Manhattan’s rigid rectangular canvases — a spontaneity in great decline due to our area-based zoning resolution and bottom line construction. 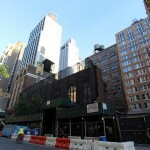 Now with the shell of the impaled church secured, foundation work on the 566-room hotel is moving ahead behind. 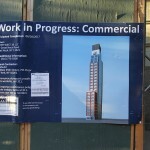 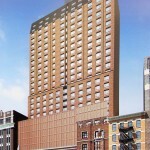 No word on what hotel flag the building will bare, but Chang told The Real Deal its opening is slated for 2017. 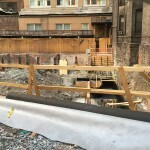 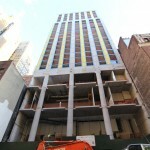 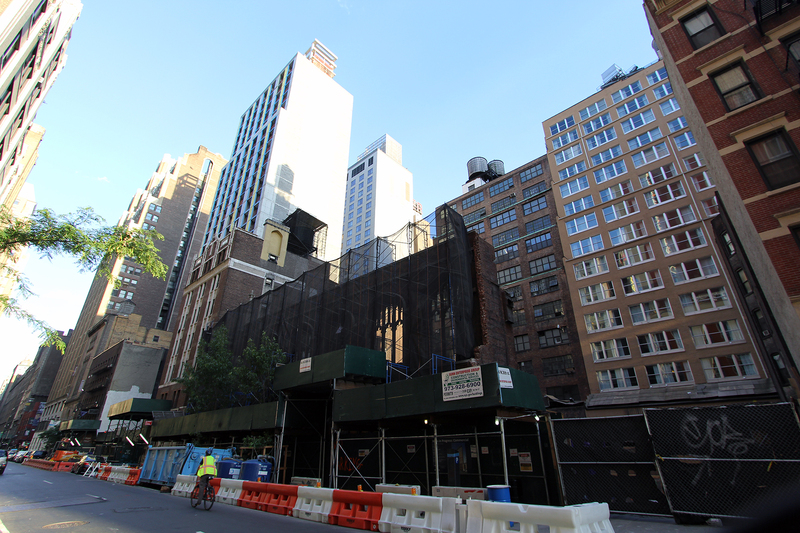 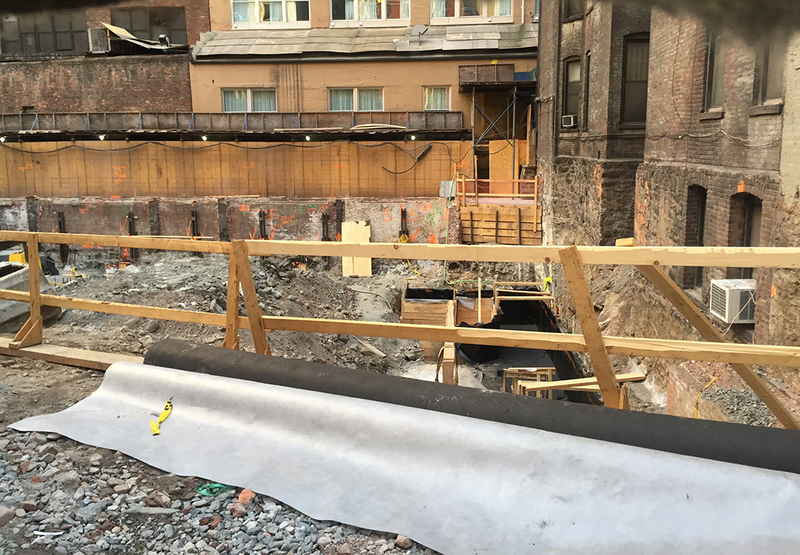 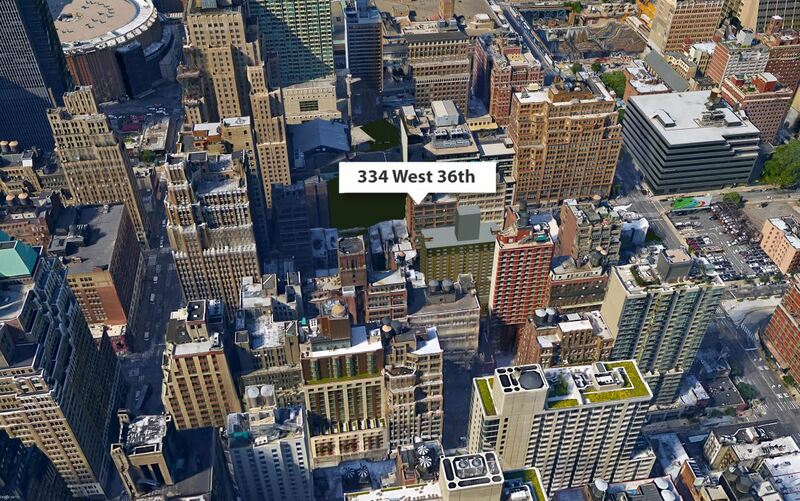 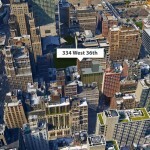 Two other budget hotel projects are under construction on the street, another McSam/Gene Kaufman special at 337 West 36th Street and Raber Enterprises’ Crowne Plaza at 320 West 36th, both unfitting of the wedding-cake loft buildings they rise alongside.